NFR Bronze Cast Buckle by Montana Silversmiths Show your rodeo heritage with this beautifully cast bronze buckle. The satin polish shines brightly against the antiqued finish. 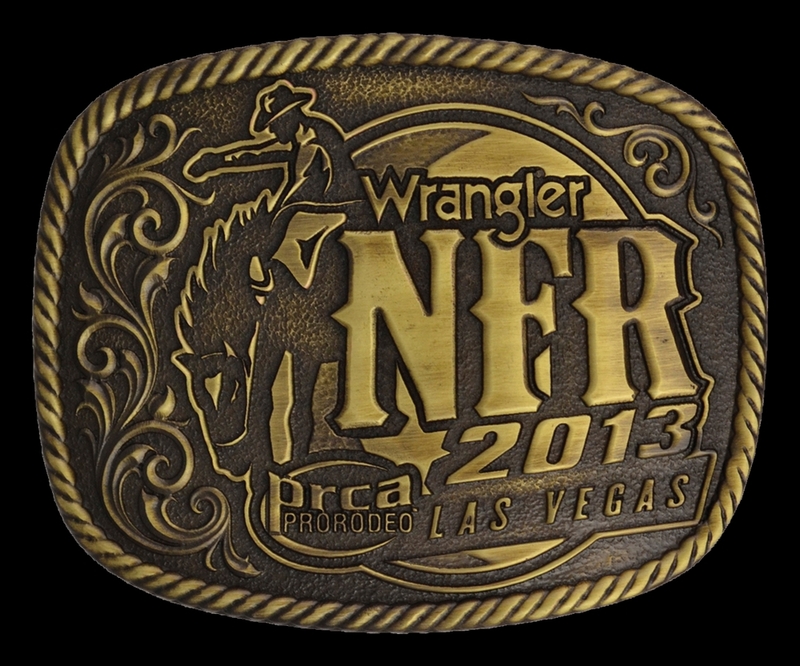 Framed in antiqued twisted rope trim, the 2013 WNFR bronc rider logo fills the buckle plate, accented with classic Western filigree along one side. Fits a standard 1.5" belt. 3" x 3 3/4". 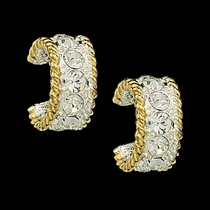 All orders processed within 48 hours. Please allow 7 business days to ship. Available mid-September 2013!